Sara Giddens is a choreographer, facilitator and co-director of Bodies in Flight (UK). 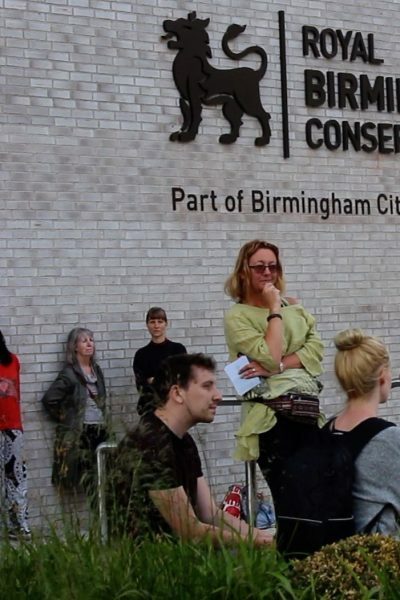 Sara has a long history of working with Dance4, most recently making Still Moving: Moving Still for Birmingham International Dance Festival (June 2018) and for Nottingham Contemporary (2013). In 2015 Sara completed a period as research artist with Dance4 and Middlesex University resulting in a practice-led PhD which explored how interdisciplinary practice challenges conventional concepts of choreography and how the processes of making dance-works can be effectively articulated, both within and beyond the practice itself, particularly with regard to audience-spectator engagement. In 2005, she was one of six nationally acclaimed choreographers to be awarded a two-year research bursary from The Choreographic Lab (funded by Arts Council England and The University of Northampton). Within this lab she made Triptych: Who by Fire with film-maker Tony Judge and contributed to a range of salons, seminars and workshops exploring how we can frame and talk about dance and choreographic practice. Sara works as a creative facilitator and project manager across the East Midlands, and is Reader in Choreographic Practice at The University of Central Lancashire, where she teaches on the Dance Performance and Teaching Course and leads the Dance and Somatic Research Group.